WEARING: Melissa Araujo Crop Top, American Apparel Leather Skirt, JNBY Leather Clutch, Nike Free Run. I had a week filled with awesome people coming by the studio to check out the LINEAR collection. I love having people over not only to share my designs but also to chat about music, art, architecture and life. I had one of the busiest weeks of my life (no exaggeration here) fortunately I was able to get everything done. Cool, Calm and Collected are words that I am really trying to live by these days. At times they are really hard to follow but I am trying to let go of things that are out of my control. Now on to something exciting, I decided to do a GIVEWAY!!! You will have a chance to win this Crop Top !!! Good luck everyone. The giveway will be open from today to September, 2. 1. 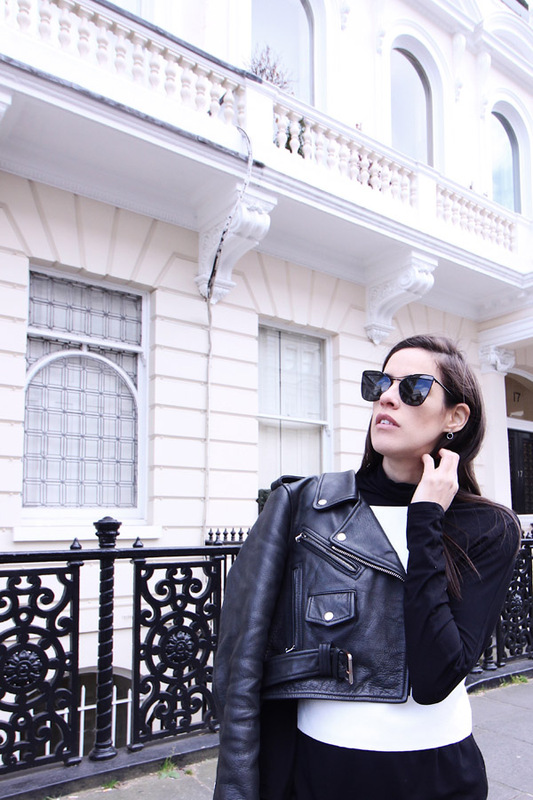 Follow MA on Bloglovin. 2. Follow MA on Instagram. 3. Follow MA on Facebook. 4. Leave me a message here. Photos by Maria Aldrey. Happy Birthday girl! LOVE THIS LOOK, love love your collection, and of course I am entering your giveaway (DUH?!)!! I'm glad that you are busy, busy is good, right? thank you for the comment, lady! i already follow you on everything, and now facebook. i'm in awe at your passioin, your v cut back dress and upside down dress are my two favourites - and i'm not even a dress person! Left you a comment on instagram yesterday. Really impressed with your work, now it's just my luck you're holding a giveaway! So glad I can support you through Facebook and Instagram now too! It's so awesome to hear that your hard work is paying of Melissa! This top is beautiful, I love the cut out back & your styling of it here with the leather skirt is perfection! I already follow you on bloglovin/instagram/facebook. 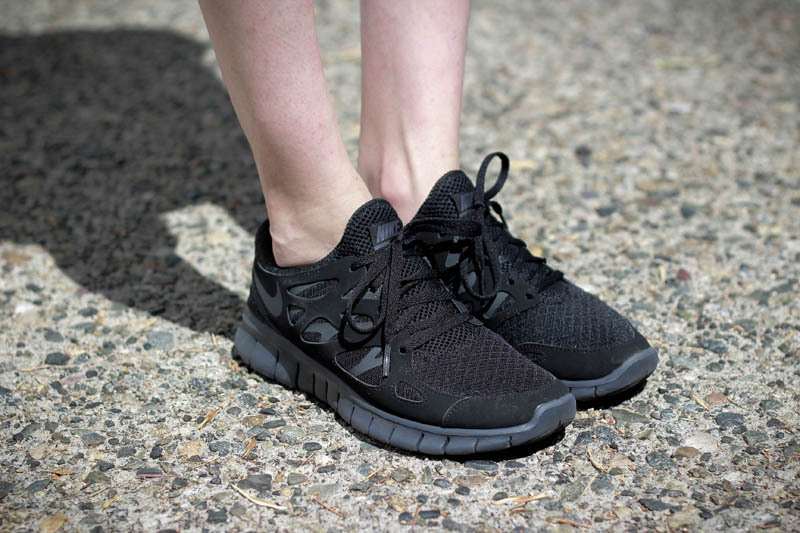 Also, how comfy are the Nike free runs?! I can't get enough of mine, I've only been wearing them for exercise at the moment, but feel inspired by this post to work them into my everyday wardrobe a little more! It's an amazing top! Beautiful shape! I did all the things, fingers crossed now. Cool, calm and collected are the words to live by! Good job recognizing that! I feel like once we ake that decision instead of just letting ourselves stress out, everything becomes so much more easy!! I love the open back. And you are just such a beautiful lady. Following everywhere I can! You're the best! leaving a message here. hoping i win haha! Done. Done and done ;) I love your pieces, so this is pretty damn exciting giveaway! love this discreet bare midriff! absolutely a subtle way to follow a trend...oh, and those Nikes perfectly compliment the minimalist aesthetic! why are you so skinny and artsy looking and perfect and cool??? You are doing tennis shoes RIGHT. Did you ever find your all-white birkies?